The title says it all, my friends. 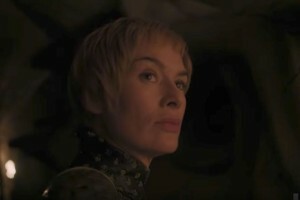 With the premiere of the new season of Game of Thrones less than a month away, the blessed execs over at HBO have decided to sate our appetites for juicy GoT footage by releasing a new trailer that’s got everyone here at Chattr excited AF. 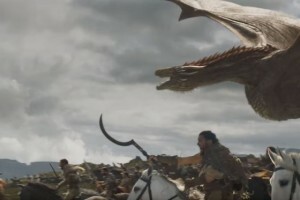 It looks to me like season 7 promises more large-scale action scenes than any previous season. The penultimate season is really ramping things up with less ‘scheme-y scheme’ and more ‘stabby stab’. 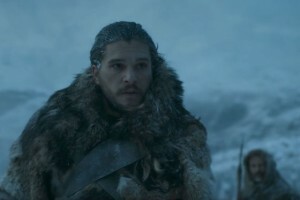 Now if you want to go into the season fresh-faced knowing nothing like Jon Snow or (SHAME ON YOU) haven’t caught up on previous seasons look away now! We then cut between Season 7’s key players in their respective locales. Jon Snow (Kit Harrington) ‘da king in da norf’, Cersei Lannister (Lena Headey) ‘Queen of the Seven Kingdoms’ and Daenerys (Emilia Clarke) of the House Targaryen, First of Her Name, the Unburnt, Queen of the Andals and the First Men, Khaleesi of the Great Grass Sea, Breaker of Chains, and Mother of Dragons who appears to have brought her army to her ancestral home of Dragonstone. 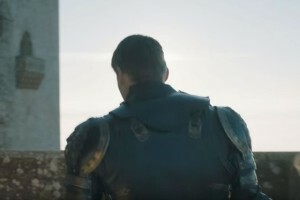 Again, in quick succession we see flit between Arya Stark (Maisie Williams), Jaime Lannister (Nikolaj Coster Waldau) and Littlefinger who is peeking out from the shadows. 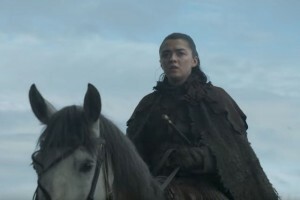 HBO really knows how to tease its fan base because I instantly want to know: has Arya just arrived at Winterfell? 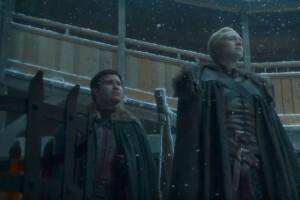 Where is Jaime off to? 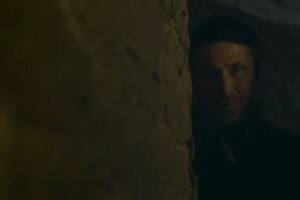 AND Where the f*** is Littlefinger and what is he planning? That man has been central to the whole plot of the series so far (he practically set the whole course of events in motion) so we’ll have to keep a close watch on him. Not even creepy. Source: HBO. 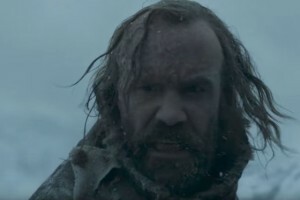 McCann) who looks like he’s in the North and kicking some White walker arse? 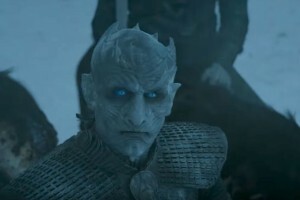 At this point, the music really ramps up and we see armies clashing, ravens in flight on mass, some kind of paranormal exchange between the Night King and Bran (Isaac Hempstead Wright). YIKES! 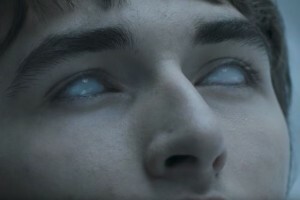 Watch out, Bran. 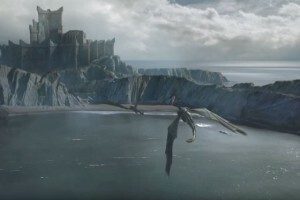 Followed in rapid fire: Ironborn ships arriving in King’s Landing, aargh everyone’s fighting, the Greyjoy siblings are terrified and Drogon follows the Dothraki horde as they charge into battle (looking mean). Sidebar: Looks like Grey Worm and Missandei (Nathalie Emmanuel) are getting it on, at least somehow… he is an Unsullied after all. 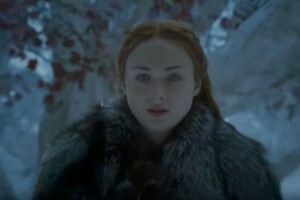 As the music dies down, Sansa gives this stark (see what I did there?) 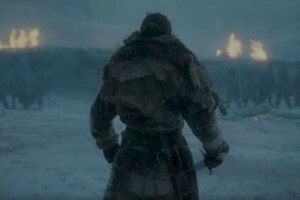 speech that ends on this shot of Jon on the battlefield. We really have reached MAX HYPE! I can’t wait. #WinterIsHere Game of Thrones returns for its penultimate season on July 16. Fortunately, you’ll no longer have to buy the full Foxtel package to watch this year with the recent launch of Foxtel Now. You’ll need to subscribe to the ‘Drama Pack’ for $15 a month. 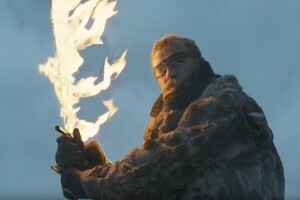 Which, for Game of Thrones, is damn near worth it.